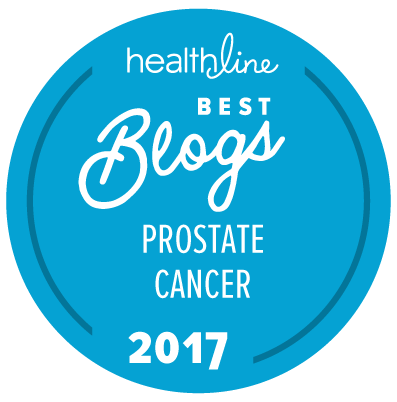 The new PSMA-based PET scans provide a way to locate exactly where the cancer has spread to after an unsuccessful prostatectomy. Formerly, the only tools we had were scans that could only detect very large or rapidly growing tumors at PSA levels well above those that most radiation oncologists would be comfortable treating with salvage radiation therapy (SRT); that is, there is widespread agreement that success rates improve the lower the PSA is when SRT is used. Even the newly approved Axumin PET scan only detects cancer in 38 percent of patients if their PSA is in the range from 0.5 to 1.0 ng/ml. By contrast, as we saw recently, the Ga-68-PSMA-11 PET scan has detected cancer in half of men when their PSA was still below 0.2, and in about two-thirds of men whose PSA was 0.2 to 0.4. The PSMA-based PET scan has the power to change SRT treatment decisions. Calais et al. have now reported the results of a multi-institutional study of the Ga-68-PSMA-11 PET/CT in 270 men with biochemically recurrent prostate cancer after prostatectomy while their PSAs were still below 1.0 ng/ml (median 0.48). The institutions comprised the University of California, Los Angeles (UCLA), the Technical University of Munich, the Ludwig-Maximillian University of Munich, and the University of Essen. Patients received PET scans between 2013 and 2017. Researchers painstakingly mapped all sites of cancer to find the locations of cancer that would have been missed if they had just blindly treated the prostate bed and/or the pelvic lymph node field, as recommended by RTOG guidelines. At the above institutions, extended pelvic lymph node dissection (ePLND) is common practice — 81 percent of patients had a PLND. Consequently, 20 percent of patients already had positive pelvic LNs (N1) detected prior to their scan. At many institutions in the US, where ePLND is less common in intermediate- and high-risk patients, this can cause a much larger and potentially curative change in the treatment plan from prostate bed-only to whole pelvic radiation. The researchers are to be congratulated for the painstaking work in contouring and comparing so many pelvic scans. As one might expect, PSMA-based cancer detection was higher for those with a Gleason score > 7, and those with pathological stage N1 and T3. The patients’ PSA levels at the time of the scan played a major role. While almost two-thirds had a PSA ≤ 0.5 ng/ml, the detection rate was 41 percent for those patients vs. 60 percent for those with higher PSAs. While detection improves with higher PSA, it is important for patients to understand that it is unwarranted (and potentially unsafe) to wait for PSA to rise just so that more cancer can be detected. That would be a self-fulfilling prophecy: by waiting for the cancer to put out more PSA, one is virtually ensuring that the cancer will grow, spread, and possible metastasize. Although we await definitive clinical trial data, most radiation oncologists recommend early treatment (before PSA reaches 0.2 ng/ml) for men with adverse pathology or for those evincing a distinct pattern of PSA progression after prostatectomy. While a previous analysis showed that the Ga-68-PSMA PET had little effect on SRT decisions, and no patients were upgraded from incurable to potentially curable, this larger more detailed study indicates that about one in five patients (20 percent) can be upgraded, and one in six (17 percent) can be spared SRT. This would seem to justify the cost. UCLA charges $2,650 for recurrent (and high-risk) patients. The NIH is recruiting recurrent and high-risk patients for an improved PSMA-based PET scan (called DCFPyL) that is free (and transportation to Washington, DC, is covered as well). Editorial comment: This commentary was written by Allen Edel for The “New” Prostate Cancer InfoLink. We would like to thank Wolfgang Fendler, MD, of UCLA and the Ludwig Maximilian University, for providing Allen with a copy of the full text of this paper for his review. Yes, the PSMA PET/CT is useful for restaging of patients with recurrence after radical prostatectomy and changed treatment decisions. But the is not the full story. Today we have several articles describing outcomes of salvage lymph node dissection and salvage radiotherapy following the information from PSMA PET/CT. Typically the articles have short follow-up and mainly report maximal PSA decline after the salvage treatment. A few also give information about the frequency of PSA recurrence after the initial response to the salvage treatment. So this is an exiting field but much remains to figure out the best way to increase the gain for the patients with the new imaging. A patient should only go for a PSMA PET/CT scan if he is treated by a team that has appropriate knowledge of how to use this type of imaging in his treatment. How do find out if you would qualify for this study. In 2017, when my PSA had risen to 2.3 after I stopped ADT3, I had an Axumin scan which found a femur lesion which I subjected to SBRT. Prior to that, in 2015, after my PSA increased to 1.3 15 months after SRT to prostate bed, an MRI with contrast found two suspicious iliac lymph nodes, so I had all pelvic lymph nodes treated by IMRT. So — as you said — good ROs treated these mets to good effect. I’m still on ADT3 and my PSA is rising again — from nil to 0.175. It’s not clear to me that gallium-68 PSMA will do a better job finding the new met(s) than readily available Axumin. Comment? I’m not suggesting that PSMA imaging won’t have a valuable place in future diagnostics and treatment decisions once proven, but it is an interesting development for a trial that is recruiting participants. If you are referring to the trial being conducted at the National Institutes of Health (NIH) in Bethesda, MD, I am pretty sure that it is this one (i.e., NCT03181867). Just scroll down until you see the eligibility criteria and the exclusion criteria. You can also contact the trial coodinator at the NIH (Yolanda McKinney, RN) by phone at 1-301-443-6913 or by e-mail at ymckinney@mail.nih.gov. The Ga68-PSMA-11 trial is open and recruiting at UCLA. they are charging patients $2650 for the PET scan, which is their cost. They tell me that by the end of March they expect to start a new trial of a head-to-head comparison against Axumin for recurrent men with PSA 0.2-2.0. In that trial, UCLA will pick up the cost of the PSMA PET and insurance will pay for the Axumin PET.